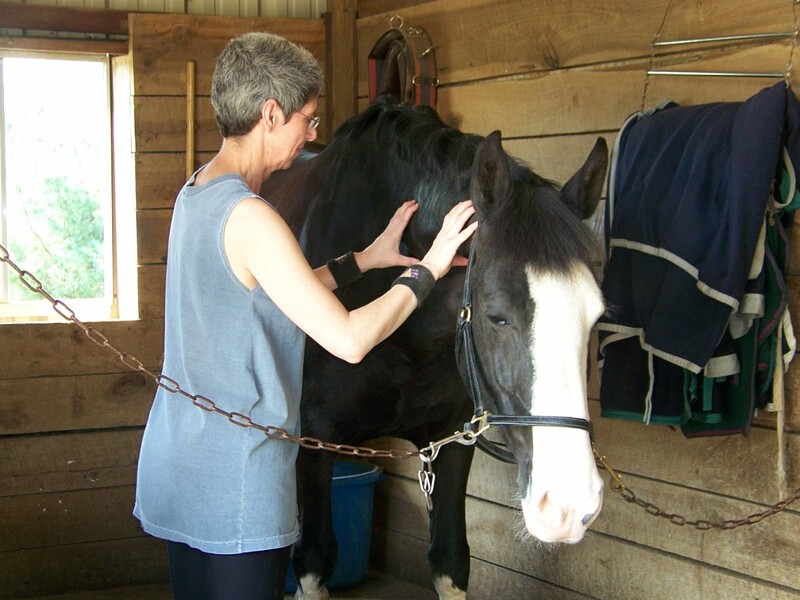 I have been certified as an Equine Sports Massage Therapist since 1998. I have completed over 5000 massages. 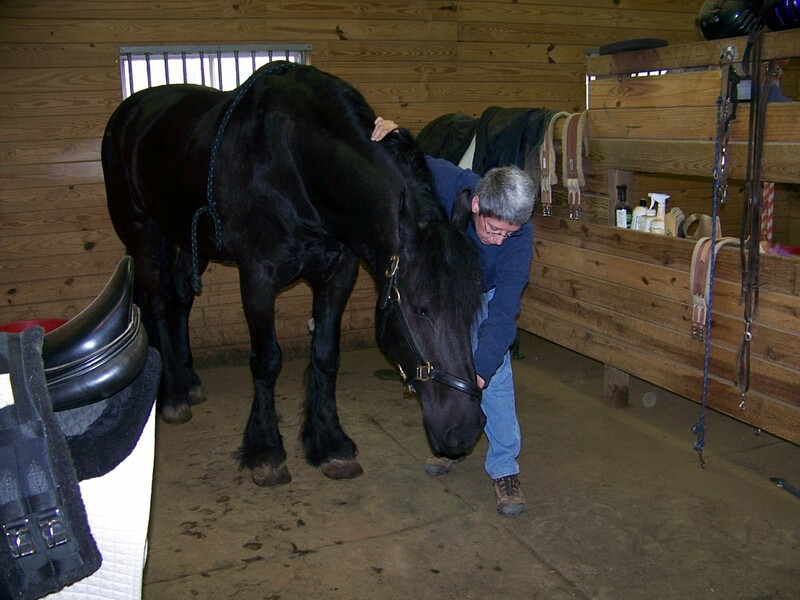 I will help your horse function at his or her best! 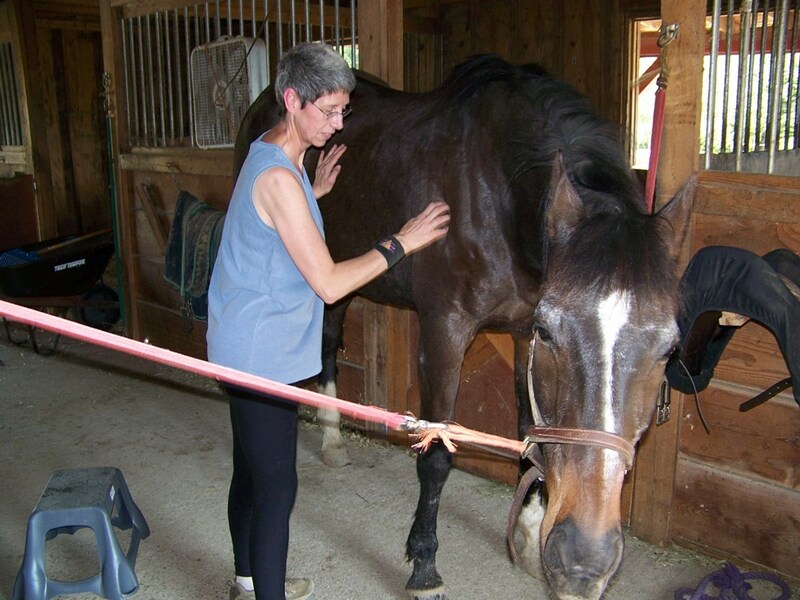 I use a combination of deep tissue massage, energy work, acupressure, T-Touch, myo-facial release and stretching – to release your horses muscle tension, tightness, spasms and knots. 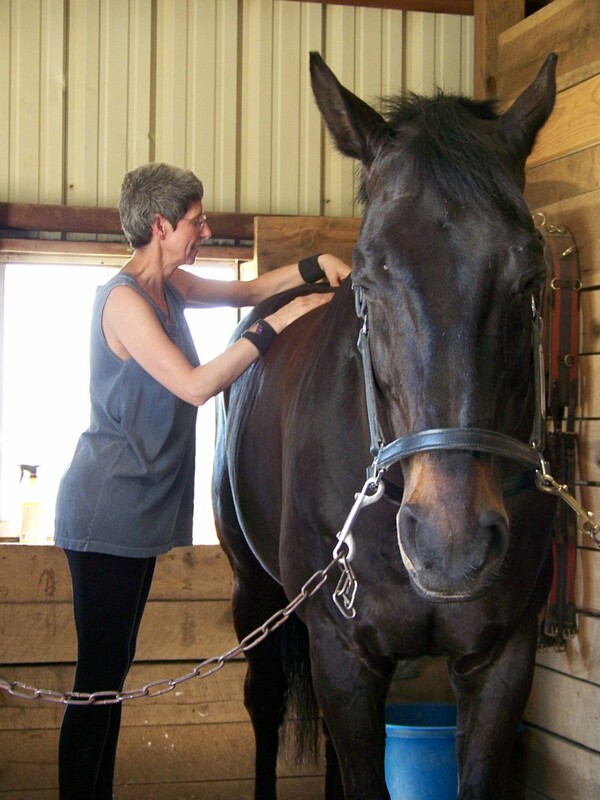 This then allows your horse’s muscles to function at their best. Horses that are highly strung or tense. Horses who are elderly or less active.